The School District of Philadelphia headquarters on North Broad Street. Education is the number one problem here in Philadelphia, but we're split on how to handle it. That's according to a poll released Monday by the Pew Charitable Trusts. The survey measured Philadelphian's opinions on what is the most important issue facing the city and the next mayor, collecting interviews from January 28 to February 19. Among those surveyed, education topped the list, with 32 percent of respondents saying it was the most prominent issue. Second was crime at 23 percent, and third was jobs and the economy at 22 percent. Meanwhile, residents' opinions of the city's schools have stayed relatively the same, with 77 percent rating them as only fair or poor and 19 percent rating them as good or excellent. The School Reform Commission received similarly low ratings, as only 11 percent surveyed believed in continuing it, and over two-thirds favored replacing it with an elected school board. Former city solicitor Nelson Diaz is the only contender who wants to eliminate the SRC immediately, and former Philadelphia Gas Works executive Doug Oliver is the only candidate who wants to keep the SRC in place (though he would like to the change the makeup of board so there are three mayoral appointees and two gubernatorial appointees). 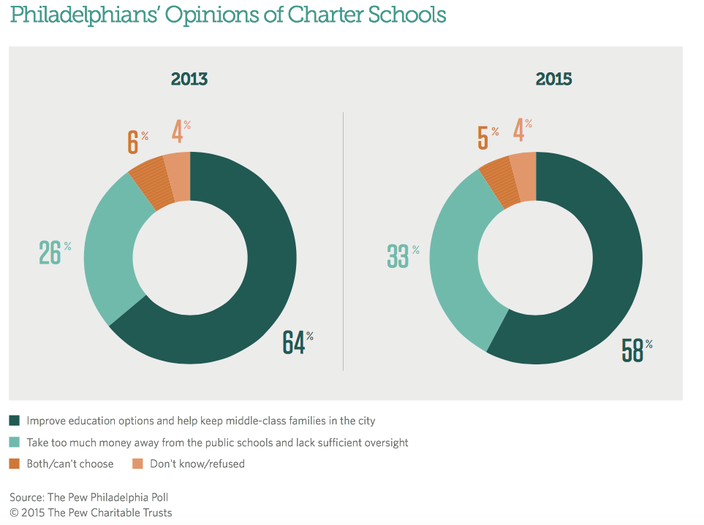 Among the strongest supporters of charters this time were people with school-age children, those with household incomes between $30,000 and $50,000, and residents of South and Northeast Philadelphia. Those least supportive were college graduates, people ages 65 and over, and residents of North Philadelphia. 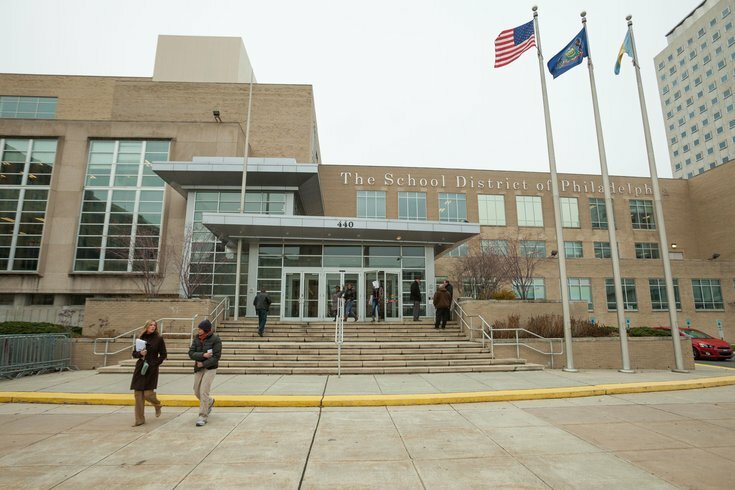 Funding for Philly's schools is an issue that Pew has delved in to before. A longer report released in January broke down some of the issues concerning the subject, noting that the operational revenue per student in Philadelphia is much lower than most comparable cities. 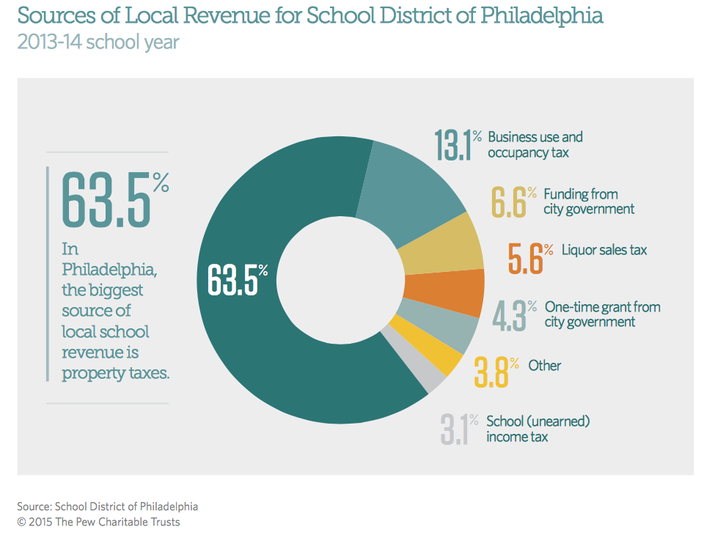 Philadelphia was in the middle of that same category when it came to the district's percentage of funding that came from local sources. The biggest slice of that pie of local funding during the 2013-14 school year came from property taxes, something Mayor Michael Nutter has argued to raise in his recent budget proposal.